Riding the galloping horse from the desert is the inherent character of the nomads. Lying on the bay of the mother river with the rolling yellow sand and bringing out the thinking about the culture of the sanding plain and the nomadism, here is the River Origins Art Town, based on the thinking about the history and territory and the understanding from present age of nomadism and farming, the Second Yinchuan Biennale Starting from the Desert –Ecologies on the Edge (confronting the choiceless ecology) , sponsored by the Museum of Contemporary Art Yinchuan (MOCA Yinchuan) , sets to begin on 10th June 2018. This exhibition will last for a hundred days to 19th September 2018. 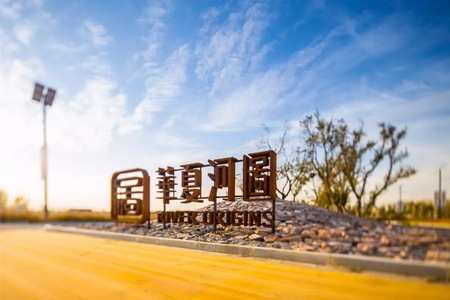 The participating works will be located within the town involving the MOCA Yinchuan, the International Artists Village, and the Hui Nongqu Eco-Park. 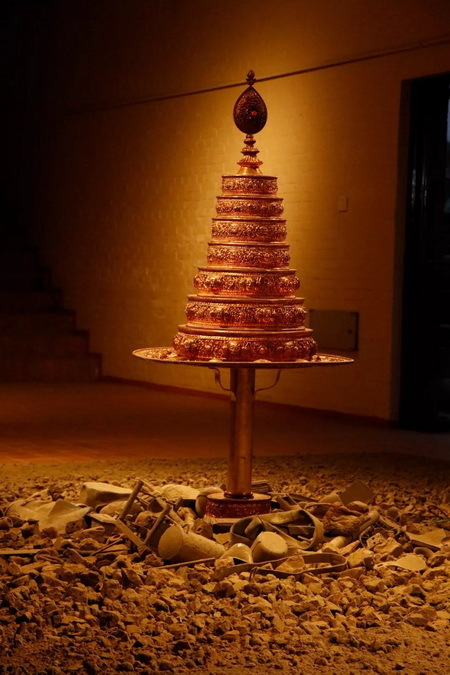 The Second Yinchuan Biennale, curated by Italian Marco Scotini, has invited 80 groups (92 individuals) of artists from 30 countries along the Silk Road, paying particular attention to the western borders of China (from Mongolia to Central and South East Asia) to think and exhibit. Conceived with the aim of measuring itself against a determinate geo-historic context of Ningxia, and based on the present global spiritual conditions, the theme of the Second Yinchuan Biennale: Starting from the Desert –Ecologies on the Edge attempts to re-write the spirit and historical destiny with the resource of vast nomadic experience from many people in ancient China among Yinchuan which stands for the North-West of China, and within the biennale system at present , comes up with this exhibition theme in a way of minor language deliberately through methodology of contemporary art to inquire the great proud tradition to let the human to search for the direction of survive in today with anthropogene and ecological predicament. The Biennale’s framework is articulated over four interdependent (and often overlapping) thematic areas that, without seeking to limit or circumscribe, attempts to visualize their material and immaterial aspects. In the same way, these areas try to question the contradictions of the dualistic systems that have accompanied the rise of modernity and Capital, positioning them as limits to the realization of an ecological world. In consequence, the exhibition of the Biennale will focus on the problems of ecology and farming, part of the works concentrate on the education and literature, and the rest works pay attention to the theme of the coexistence of multinational culture. This area is concerned with the interaction of the physical environment with forms of life. It proposes less the different natures of the two spatial types, than their reciprocal meeting points, their intersections, and the passage from the one to the other. If it is true that the desert of sand is not an area designed exclusively by geology and the climate, it is equally true that rural spaces are not created solely by humans but also by a series of natural constraints and opportunities. The social, economic, cultural and political implications linked to the figures of the nomad and the peasant is seen as the semiotics of subjectification. 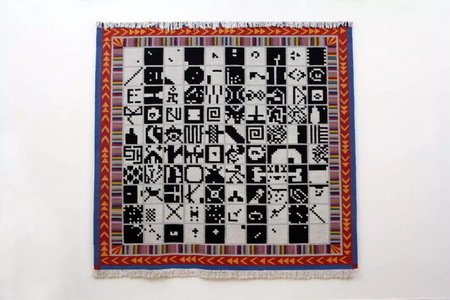 These two statements, a coinage taken from Jason W. Moore, focuses on forces of production (commodification) and on the relations of production (appropriation, exploitation, accumulation) linked to modern ideas of nature. 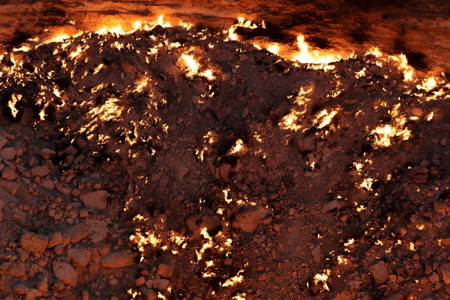 It is only by overcoming the hegemonic vision of nature as separate from humankind (that has been the lifeblood of capitalism) that we can acknowledge how, production forces–historically determined–have encompassed human- (women, slaves, children) and aside from human- (animals, forests, waterways, the land) nature. This area intervenes at the level of mental ecology deconstructing the opposition between phonemes and graphemes, orality and writing, and the prejudices of a logocentrism, which in the West has defined what takes place in and beyond history. Considering voice without language a language without a voice, directly involves the questions of the production and reproduction of knowledge and, as a consequence, the dimensions of politics. This thematic area discusses associations and the associative forms of living beings: from the micro-social to the institutional scale. The concept of community on which modernity is founded (and through which extra-human nature is also considered) is based on the idea of a common and shared world in which the condition of equality is indivisible from that of identity and belonging. For this reason, the relation between minorities and a majority does nothing but infinitely reproduce the dialectics between integration and exclusion. The idea of multiplicity, at the base of social ecology, does not permit, on the contrary, any concept of a majority. 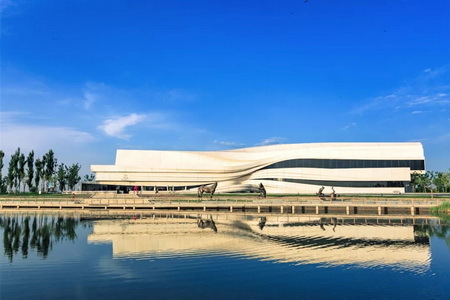 At the same time, the Biennale will be displayed in a unique design to exhibit China and important historical relics in a multicultural context: the Museum of Ningxia Hui Autonomous Region (Ningxia Museum), where collects and exhibits the historical cultural relics, revolutionary cultural relics, folk cultural relics and the relics handed down from ancient times, will be exhibited in the Second Yinchuan Biennale with 19 pieces of works including rock rubbings, tsha-tsha, carpets and so on. The dialogue traveling space and time between the historical vocabulary of Ningxia museum and the contemporary context of the today’s world, not only breaks through the inherent system of biennale and activates the artistic roots of the museum itself, but also extends the life width of Ningxia local culture. Another bright spot placed in the Biennale is the collection works of MOCA Yinchuan with two exhibitions of Accommodation of Vision-- Early Chinese Western-style Paintings and The Outline of Territory-- Historical Map Collections, interlaced to exhibit with other participating works. With the lead works of Portrait of Emperor Qianlong in Wintersuit which painted by Giuseppe Castiglione, will give the audience a whole new experience in vision and impression blending with familiar works and unknown works to provoke the deep thinking further through the logical connects. In addition, a series of activities of the public education in MOCA Yinchuan will begin with the exhibition at the same time: the museum will invite the curators and some participating artists to walk into the local colleges to give lectures and open workshops. 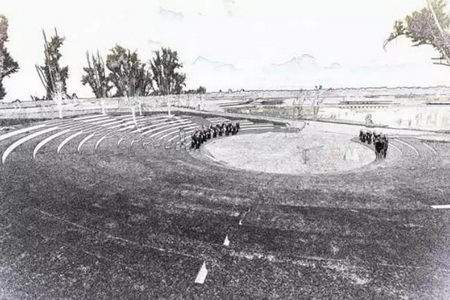 And many performances on opening ceremony are truly multiple and worth to expect！The interactivity and locality of the Biennale will make more local audience participate in and enjoy the Yinchuan Biennale. 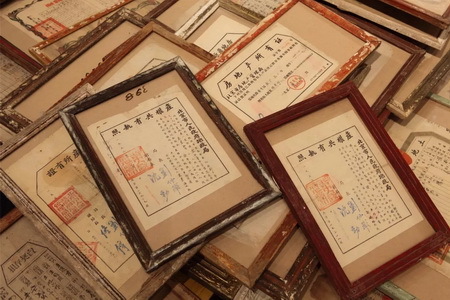 For instance, a lot of material of the participating works (sheets, quilt covers, used clothes and one thousand various books), is all kindly provided by Ningxia local people. Furthermore, according to the theme of this Biennale, the public education activity Leave your Families Marks –Make Hand Print will open to all Ningxia citizens on 10th June 2018. 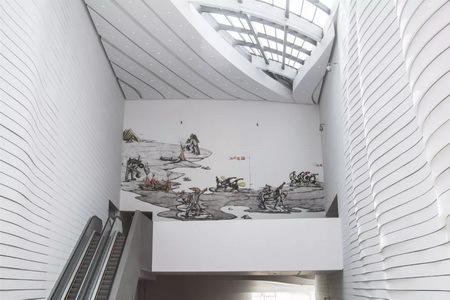 In 2016, MOCA Yinchuan sponsored the first edition of Yinchuan Biennale, it not only makes the city image of Yinchuan raise the concern from international art world, but creates an opportunity for local people to be close to international art, opens the eyesight of the culture and art for Ningxia citizens and further improves the cultural ecological environment of Yinchuan in the meantime. 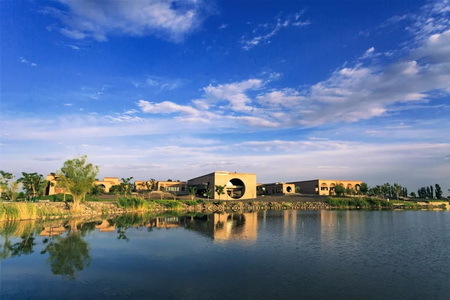 Moreover, the theme of the Second Yinchuan Biennale Starting from the Desert –Ecologies on the Edge is connected with history and culture of Ningxia region, and even the western cities, meanwhile, combines many historical factors with contemporary life. In this angle, it will arouse a lot of artists to think more deeply and broader. What is more, this Biennale no matter in the theme or the form, both expand the strategy and horizon of those Biennales hosted in other cities of China, and set the theme as a kind of structure with infinite boundary and further development –a free physical space of the exhibition, to help audience to think but not limit to the visual pleasure. Beyond that, this exhibition will not only stimulates people to get a whole new recognition on how contemporary art comes into being and develops, but also bring the possibility of tourism development, because people always gain the knowledge of city, the enjoyment of life and the affirmation of the quality of tourism project during cultural and artistic activities. Through the efforts, MOCA Yinchuan is constructing a steady and energetic brand image of the Biennale. 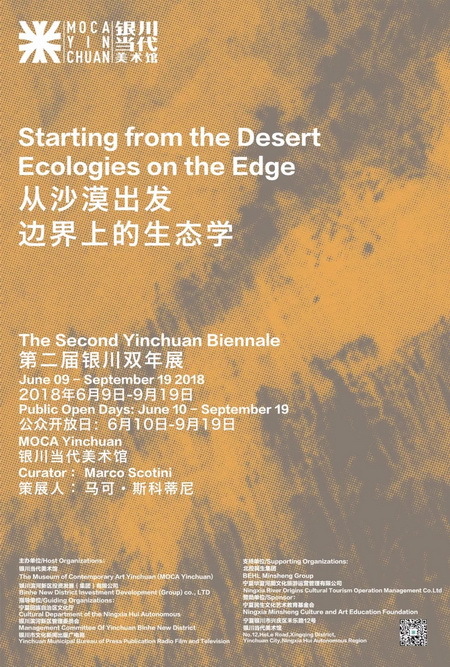 The Second Yinchuan Biennale“Starting from the Desert –Ecologies on the Edge”is Hosted by MOCA Yinchuan and the Yinchuan Binhe New District Investment Group. 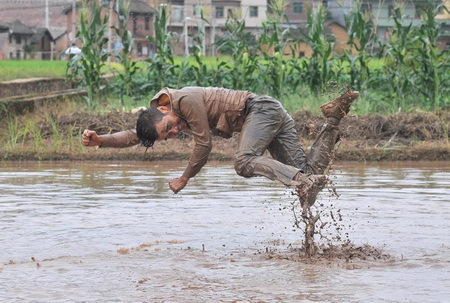 Guided by the Cultural Department of the Ningxia Hui Autonomous Region, and the Management Committee of Yinchuan Binhe New District , and Yinchuan Municipal Burea of Culture, Press, Publication, Radio and Television. Supported by BEHL Minsheng Group and Ningxia River Origins Cultural Tourism Operation Management Co,ltd. Suponsed by Ningxia Minsheng Cultural and Art Education Foundation. Cooperated by the Museum of Ningxia Hui Autonomous Region.